At no time of year do children want to help out in the kitchen more than during the holidays. It’s easy to understand why. The aromas are tantalizing. The parade of foods is beautiful and delicious. Plus, school is out and the weather is colder, so the kids are indoors more and probably itching for an activity. Why wouldn't little hands want to join in the kitchen fun? My four my sons, especially before they reached double-digit ages, have always been eager to cook with me as Christmas approaches. 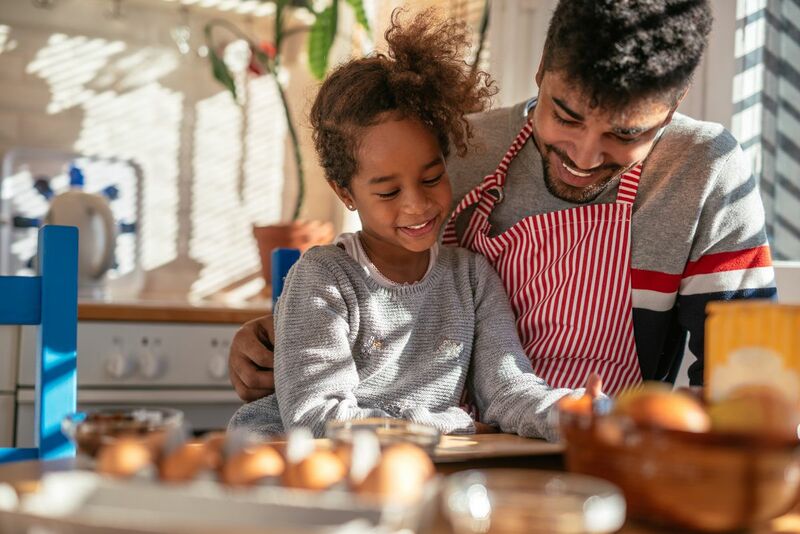 The challenge of having kids helping in the kitchen is finding simple hands-on tasks that not only feel like fun and are relatively safe to do, but also produce results they're happy to eat. That's why cookies, especially basic ones, make especially good choices. Thumbprint cookies are among my favorite varieties to make with young ones. These usually one- or two-bite treats, named for the indentation made in each cookie, have been around for at least two centuries, and their origin has been claimed by countries and cultures across central and eastern Europe and north into Scandinavia, where the Swedes descriptively call them hallongrottor, literally "raspberry caves." Raspberry jam is, indeed, a very traditional filling for the tender, crumbly cookies. But you can substitute different flavors of jam, jelly or marmalade; or try chocolate ganache — a mixture of melted chocolate and a little cream. The dough is a simple butter cookie mixture, which I richly flavor in my recipe for chocolate-raspberry thumbprint cookies with unsweetened cocoa powder and melted bittersweet chocolate. Other versions of the dough may include ground almonds or hazelnuts, or orange or lemon extract brightened with some grated zest. Feel free to experiment with any combination that sounds good to you. With Christmas upon us, this recipe is quick and easy to prepare with the children. Let them help you measure out the ingredients. 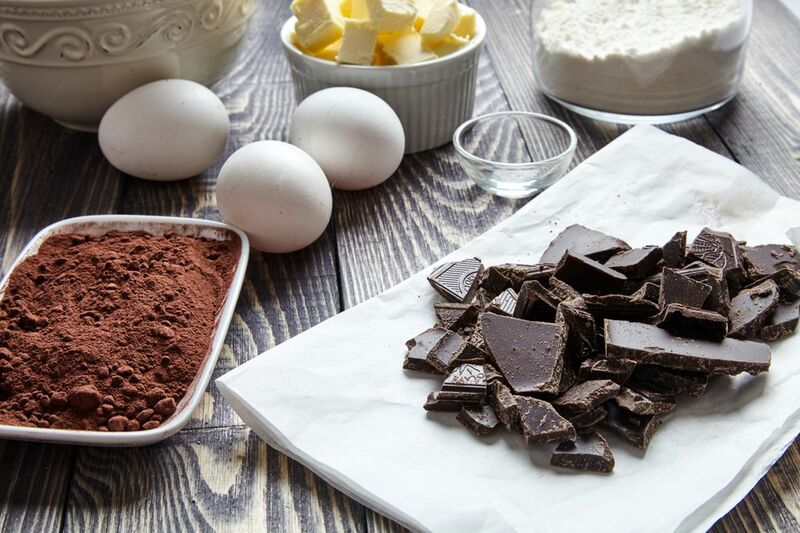 Have them stand safely clear of the stand mixer or handheld electric mixer while you mix the dough. After you've cleared away the beaters into the sink, invite the kids to help you gather the dough from the bowl and wrap it for refrigeration. Then, let them take charge — under your close supervision, of course — when it comes to shaping the chilled dough into balls and pressing thumbs into their centers to make the indentations. Finally, after you've taken care of the baking and the cookies have cooled, your helpers can mastermind filling them with the jam. Here’s a final hint: It doesn’t really matter how neatly they do it! The cookies will still be delicious — so good, in fact, that you should have enough ingredients on hand to make another batch very soon after Christmas! Line 1 or 2 baking trays with parchment paper. Set aside. In a mixing bowl, sift together the flour, cocoa and salt. Set aside. In a medium saucepan, bring about 2 inches (5 cm) of water to a boil. Put the chocolate in a bowl large enough to rest inside the rim of the pan without the bottom of the bowl touching the water. (Carefully pour off a little water, if necessary.) Place the bowl over the water and, when the chocolate is almost completely melted, turn off the heat and leave it to melt completely, stirring occasionally. In the large bowl of an electric mixer fitted with a paddle or beaters, or in a large mixing bowl using a handheld electric mixer, beat together the butter and confectioners' sugar: Start on low speed until the sugar is incorporated, and then turn the speed to high and continue beating until the mixture is very fluffy and white, about 5 minutes, stopping the beaters or paddle as necessary to scrape down the sides of the bowl and under the beaters with a rubber spatula. On medium speed, add the egg yolks one at a time, beating just until incorporated. Add the melted chocolate and mix well. On low speed, slowly pour in the sifted dry ingredients, again beating just until fully incorporated to form a soft, smooth dough. Do not overmix. Remove the bowl from the mixer, or set the handheld beater aside. With clean hands, form small balls of dough about 1/2 ounce (15 g) each. Gently press your clean thumb into each ball, making a deep indentation in the center; then, place the balls on the prepared baking tray, placing them about 2 inches apart. Cover loosely and refrigerate for 1 to 2 hours, or as long as overnight, to help set the indentations in the dough. Before baking, position the rack in the center of the oven and preheat the oven to 350 F (175 C). Bake the cookies for about 12 minutes, turning them back to front halfway through. Gently slide the cookies on the parchment paper onto a wire rack to cool completely to room temperature. Once the cookies have cooled, use a small teaspoon or a piping bag with a wide tip to fill each indentation with a little raspberry jam.